What Can Brown(s) Do For You? The 3 Point Conversion Sports Lounge Podcast is a show where you can and get your sports fix by relaxing in the lounge. 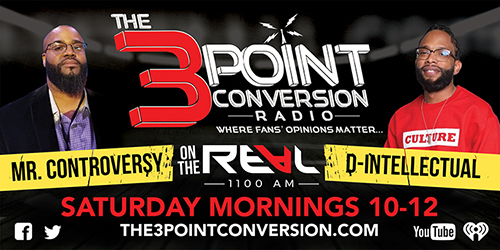 Join The 3 Point Conversion Sports Lounge chat room, to give your "3" cents.